One of the easiest ways to discover what people are saying about your business is to use the free Google Alerts service. This service emails you whenever Google finds any new mentions of your brand name, product name, or any other phrase you want to monitor. It trawls through most of the sources that the regular Google search uses, including the web in general; news sites and blogs; video sites; discussion forums, and more. Open the Google Alerts page. Enter the topic for your alert. Your brand name. This works best if you’re fairly well-known of course. You’ll get alerts whenever someone mentions your brand. Your product or service name. This sends you alerts whenever someone is talking about your offerings (whether positively or negatively!). Your own name. As the business owner, you’re closely associated with your brand name. So it’s worth setting up an alert to see what people are saying about you! Your competitors. Try setting up an alert for a competitor’s brand name, product name, or service name. You’ll get to see how people view your competitor’s offering. This can help you to differentiate from your competitor, or to make your offering better than theirs. Phrases used in your industry. For example, if you’re in the online coaching field, you could set up an alert for “online coaching” or “Skype coaching”. This technique can be great for learning about the latest developments in your field, which can help you when it comes to designing your products and services. Set options for your alert. Click the Show options link to display a set of options to customise your alert. For example, the How often option lets you choose how frequently you want to receive emails, while Sources lets you fine-tune the types of content that Google searches through (websites, blogs, news sources, books, and so on). 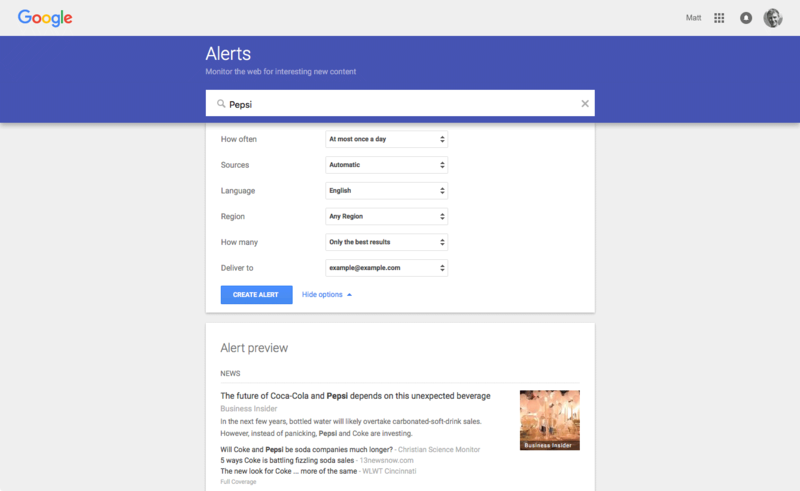 Setting up a Google Alert is a simple as typing in the text you want to monitor and clicking Create Alert. At the bottom of the page, you see the kind of results that you’ll get once you create your alert. If you’re not happy with the results, go back to Steps 2 and 3 above to tweak your alert. When you’re happy with the way your alert looks, click the Create Alert button to finish creating your alert. You’ll immediately get a Google Alert email with your first set of results! Once you’ve set up your alert, Google starts sending you alert emails. From now on, whenever Google finds something new about your topic, it will email you according to the schedule you set up for your alert. You can also tweak the alert after you’ve created it. Just visit https://www.google.com/alerts/ to view your alerts. Click the pencil icon to edit an alert, or the trash can icon to delete it. Simple! To get alerts for an exact phrase, surround the phrase with quotes: “Elated Communications”. To include unknown terms in an exact-phrase search, use asterisks. For example, “selling hand-made * online” will find phrases such as “selling hand-made jewellery online”, “selling hand-made clothing online”, and so on. To get alerts from one specific site, use the site: operator. For example, scarf site:etsy.com finds all mentions of the word “scarf” on Etsy. 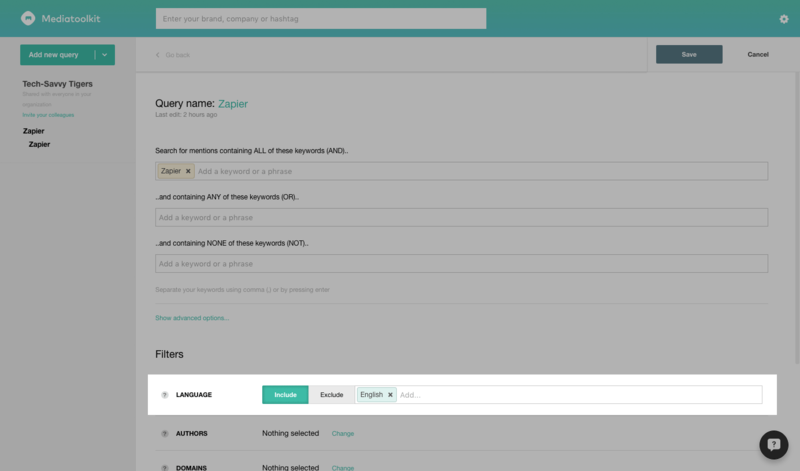 To find pages that contain any one of several different keywords, use the OR operator. 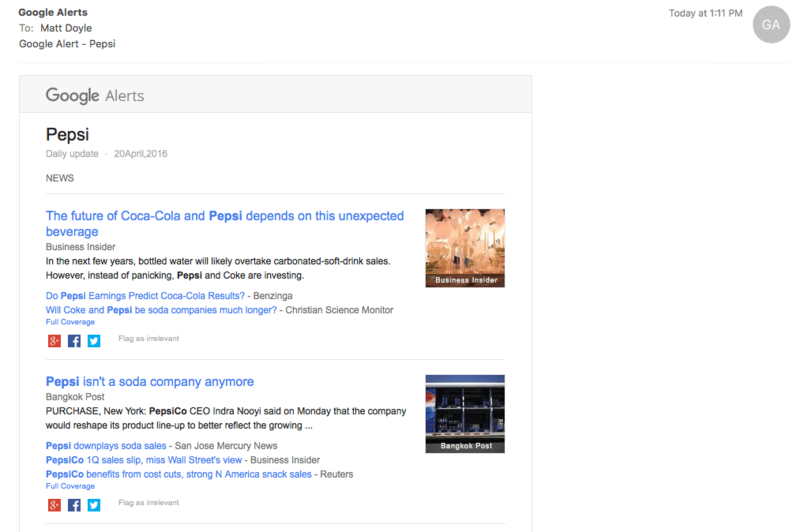 For example, Pepsi OR Coke will find pages containing the word “Pepsi” or the word “Coke” (or both). 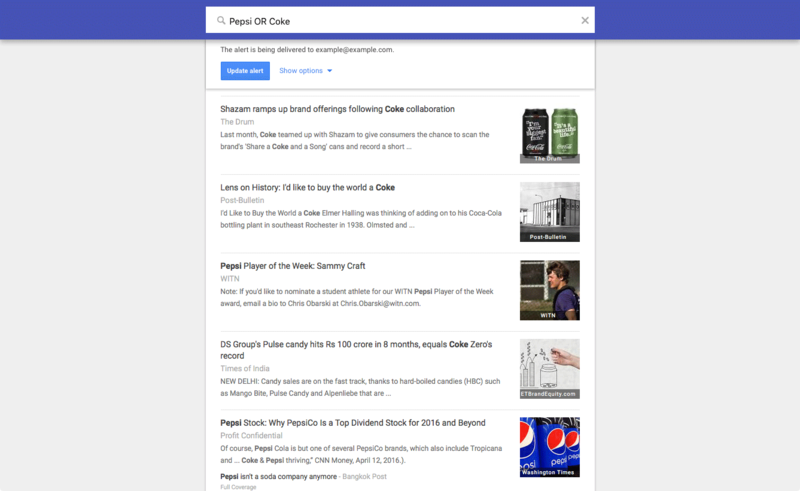 Using the Google Alerts OR operator, you can look for any page that contains “Pepsi” or “Coke” (or both). 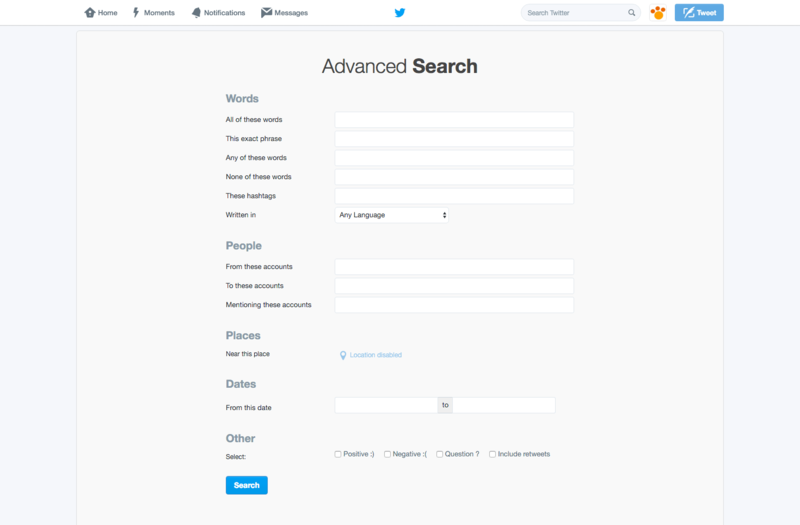 If you’re a Twitter user, you’ve probably used the search box at the top of the Twitter site. You can use it to search the whole of Twitter for the latest tweets related to your brand or industry. It’s a fantastic way to keep up to date with the latest developments in your field. Alternatively, on any Twitter search results page, you can select More Options > Advanced Search. Twitter’s Advanced Search lets you fine-tune your searches. Using it, you can focus on just the tweets that are relevant to your business. Handy tip! If you’re on an iPhone or iPad, you can access the Advanced Search page by tapping the Request Desktop Site button. To show tweets that include all the words “online”, “marketing” and “strategies”, type online marketing strategies into the All of these words box. To show tweets that only include the exact phrase “online marketing strategies”, type online marketing strategies into the This exact phrase box. To show tweets that include the word “marketing” but not the word “offline”, type marketing into the Any of these words box, and offline into the None of these words box. To include tweets directly from, directly to, or mentioning a specific Twitter account — such as the account of your competitor — use the People boxes. For example, to show tweets sent to @Microsoft, type @Microsoft into the To these accounts box. To find tweets that were posted within a certain date range, use the two Dates boxes. For example, to find only tweets posted since the start of 2016, enter 2016–01–01 into the From this date box. To show only negative tweets (tweets containing a “sad” emoticon), click the Negative : ( checkbox. Excellent for finding out when people are unhappy with you (or your competitors!). When you’ve finished setting up your search options, click the Search button to view the results of your advanced search. To save your Twitter search, choose More options > Save this search. 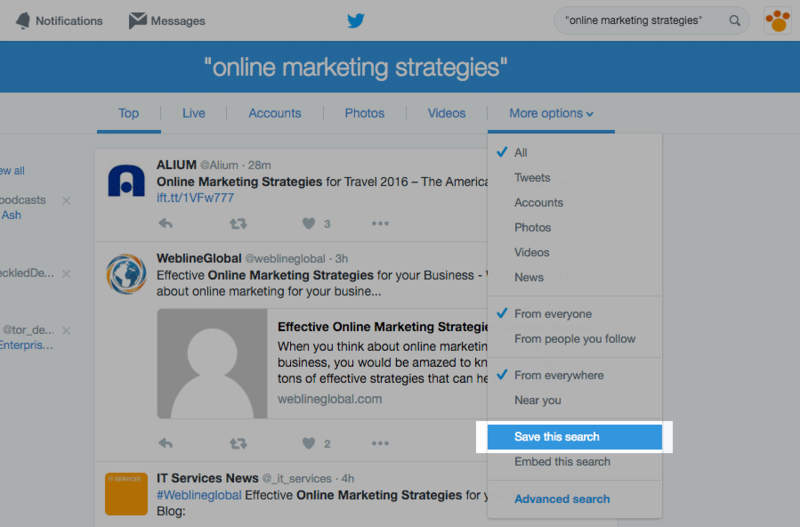 Once you’ve saved a search in Twitter, you can access it any time by clicking in the Search Twitter box. As with Google Alerts, you can use search operators in Twitter instead of the Advanced Search form. This can save time if you’re doing a lot of searches. For example, marketing -offline finds tweets containing the word “marketing” but not the word “offline”. To see a full list of Twitter search operators, visit the Twitter search homepage in your desktop browser and click the operators link. Deep searching. Media monitoring tools can search much more than just the web in general. They also deep-dive into social media platforms, forums such as reddit, review sites like TripAdvisor, Amazon and Yelp, and many other types of media to find all the corners of the internet where your brand is being talked about. Easy to reply to complaints or compliments. Often you can post from your social media accounts straight from these tools. So the moment you get an alert showing that someone has said something about your product or service, you can reply to them straight away. Many tools also support teams, so if you have a colleague or VA who handles your marketing, you can give them the ability to read and reply to alerts too. Fine-grained alerts. You can easily set up alerts that include all keywords or any keywords, as well as exclude irrelevant keywords and websites from an alert. This ensures that each of your alerts is specifically about your brand, product, or service. Detailed reports. Most of these services include historical reports of your alerts, so you can see at a glance how the interest in your product, service, or industry is changing over time. For example, Mediatoolkit is a great media monitoring service to get started with. It offers a free subscription for one query (keyword), so you can get a feel for how the system works before plunking down a monthly fee for the pro subscription. Visit their homepage and enter your email address to sign up for free. 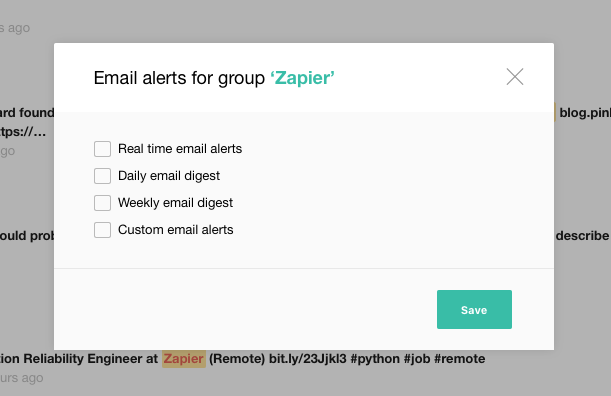 Type Zapier into the box at the top of the Mediatoolkit main page. Adding a new query in Mediatoolkit. Using Mediatoolkit’s email alert options, you can choose how often you want to receive alerts. 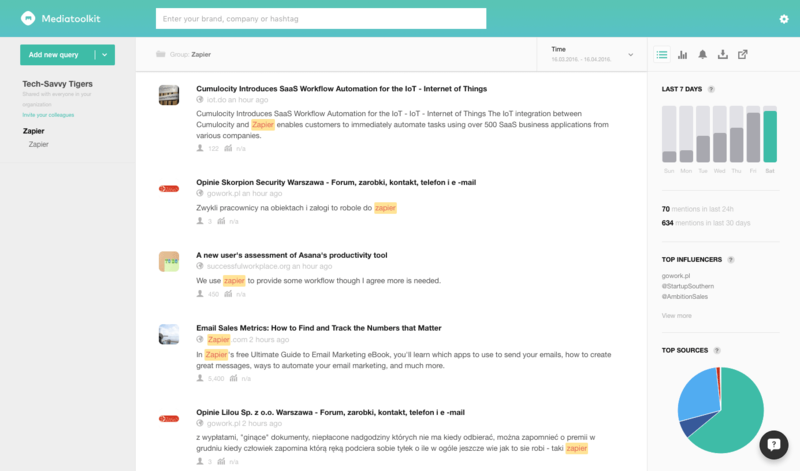 The Mediatoolkit feed shows you all the latest mentions for your query. To view a mention’s source, just click the mention’s headline to open it in a new browser tab. You can then respond to the mention appropriately: if it’s a positive mention then you can thank the author; if it’s negative then you might try to help them fix the issue. To fine-tune your query in Mediatoolkit, start by clicking the Edit filters link. Under the Filters section, click the Change link next to Language. Using Mediatoolkit’s Language filter to exclude non-English results. Your feed is now filtered to show only English-language mentions. Once you’ve set up your filters, just sit back and let the mentions roll in! You can view reports that show your mentions over time, and even break down your mentions by source, influencer, and sentiment (positive, negative or neutral). To track your mentions on the go, there’s also a Mediatoolkit app for iOS and Android. Mention has been around for a while, and is one of the best tools available. It’s similar to Mediatoolkit, but has some additional features such as linking to social media accounts (so you can reply to mentions right from the Mention dashboard) and task lists (great if you have a team of people who can respond to mentions). Mention doesn’t have a free option, but you can get a 14-day free trial. Notify is super-easy to set up and use. It integrates with Slack or HipChat to notify you and your team whenever you get mentioned online. It’s also completely free! Brand24 is another media monitoring tool in a similar vein to Mediatoolkit and Mention. It’s not the cheapest option, but it’s known for being powerful yet easy to use. As with Mention, there’s no free tier but there is a free trial available. Mention is another great media monitoring tool. 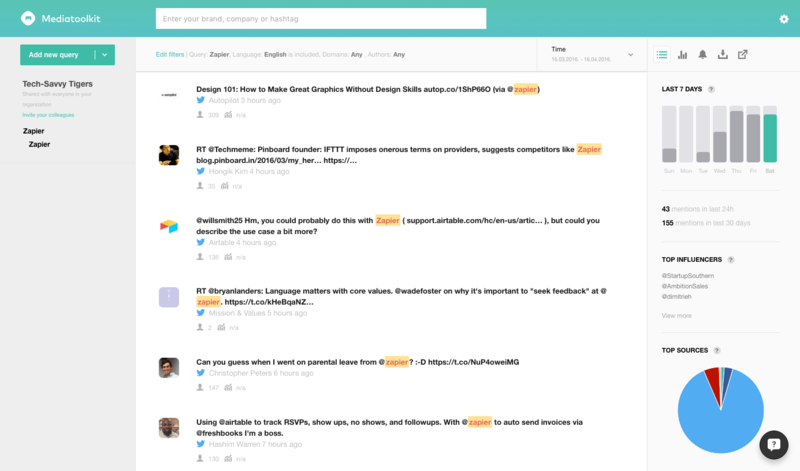 It has social media integration and task lists — handy if you have a marketing team. Start monitoring your brand today! Gossip about your brand can be like gold dust: extremely valuable to your business, and often hard to find! But it doesn’t have to be that way. 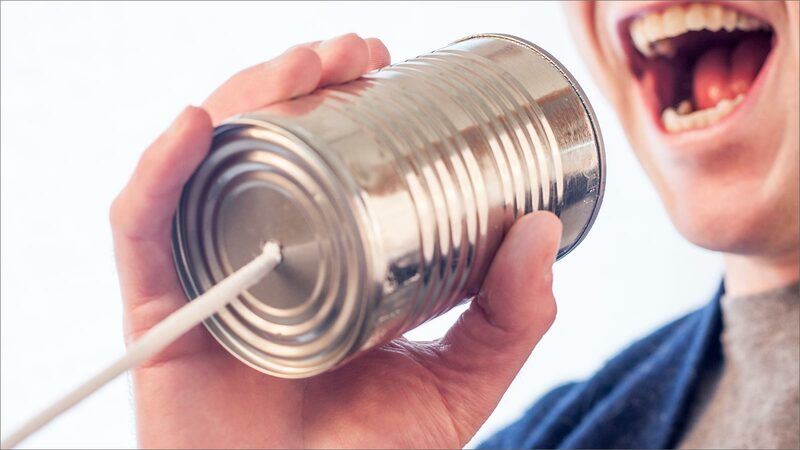 Using the three tips in this article, you can keep in touch with the latest mentions of your products and services — whether positive or negative — and respond to them appropriately. So start today. Set up a couple of Google Alerts, save some advanced Twitter searches, and try out a media monitoring tool or two. You’ll be collecting that gold dust before you know it! Wow, thanks Iva! I appreciate it. 🙂 I really like Mediatoolkit, especially the easy-to-use interface.